With this Travel Guide you have a full city guide in your iPhone & iPod Touch. AUGMENTED REALITY, unlike other tourist guides you will be able to discover the city with the best iPhone tool - AR - Just click on the AR button, turn yourself 360° and view on the screen where the best spots are and how to find them. You can also scroll up and down to view the closest and furthest attraction. Slide through the tutorial for more tips. Unlike other guides, this Travel Guide provides you with interactive zoomable OFFLINE MAPS (x6 zoom + GPS capable) of the region showing the attractions, public bus stops, restaurants, pubs, hotels, hospitals and many other useful points of interest. You cannot get lost!. With this guide, you will not only visit the city but also move around its region. 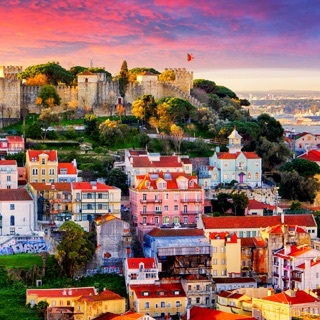 Tourist info for must see attractions such as Santa Maria de Belém, Belém Tower, Jerónimos Monastery, Padrão dos Descobrimentos, National Archaeology Museum, National Coach Museum, Belém Palace, Afonso de Albuquerque Square, Bairro Alto, Lisbon Cathedral, Castle of São Jorge, Monastery of São Vicente de Fora, Santo António Church, 25 de Abril Bridge, Cristo-Rei, Church of Santa Engrácia, Avenida da Liberdade, Restauradores Square, Elevador da Glória, Santa Justa Lift, Museu Calouste Gulbenkian, São Bento Palace, Fatima, among others. This app contains IAPs for you to enjoy and discover the best out of your visit. This app is a bad joke—unfortunately, it’s a joke on the buyer. The “metro” section offers the only map: a blurry graphic behind 2 columns (from - to). Find if you know your destination. But because you can’t look at the map relative to the streets of Lisbon. If you’re a stranger it’s useless. That’s the only “map“. Nothing for buses or trains: no maps, no information about schedules. Absolutely nothing that would help a visitor get around Lisbon. And it’s $3.99. No one should buy an app from this developer. Thank you very much and we are sorry the hear that. It is only 1 payment to unlock the content. The reason behind this is for travelers to be able to enjoy everything in an offline mode without paying for roaming charges while they travel. Even being able to use geolocalization capabilities such as GPS or Augmented Reality without being connected to your cell phone provider. We hope you understand and if you have any other question, please do not hesitate to get back to us. Thank you. Im just coming home from a 10 days trip to Portugal, what a place! As I did not have roaming, this guide made my life easier. It is well design, free to use and plus you can book experiences. 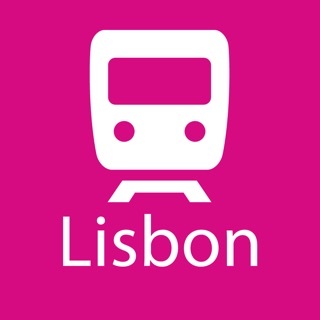 If you ever go to Lisboa, also do some traveling around. Great trip. Thank you very much. We are very happy that you enjoyed the app. Totally useless. Just one page to upgrade. Abu Dhabi Travel Guide .